All ordained Orthodox clergy and those who minister to young adults are welcome to attend. 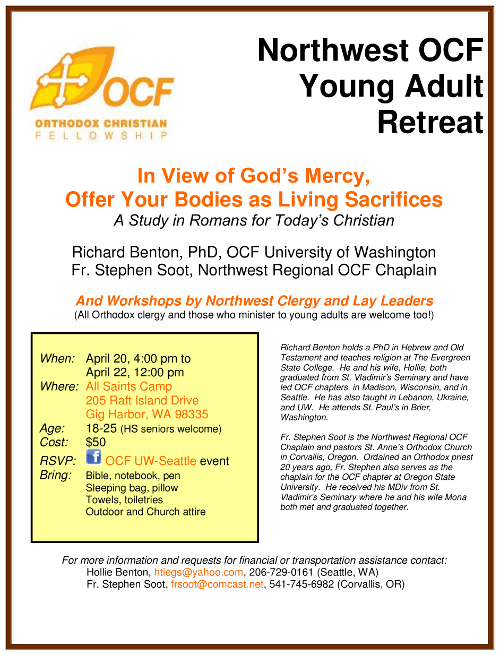 For clergy and leaders who plan to attend, please consider offering a workshop at the retreat for our young adults. Follow this link for more details or to download information packet, registration form etc. This entry was posted in retreats and tagged ocf, pan-Orthodox, retreat, young adult. Bookmark the permalink.